The Straz Center education program readies local high school musical theater talents for the big time with the Broadway Star of the Future program. Winners get a chance to wow Broadway producers and directors in NYC for their shot at the title – and potentially launch their careers with a Jimmy® Award. We all know you get to Carnegie Hall with practice, practice, practice, but the joke omits the part about breaking into the business, which may be the most confounding part of wanting to be a working performer. Between a hefty mythologizing about the la-la land of show business and the often unknown paths leading to the Great White Way if you’re distanced from the Big Apple, musical theater students often feel overwhelmed by the size of their dream. A long-time champion of the Florida State Thespians, a chapter of Education Theatre Association which supports excellence in theater education, The Straz established the Broadway Star of the Future award, a prize to two performers during the Thespians’ week-long annual festival at The Straz. These two winners, one female and one male, get a chaperoned, all-expense-paid trip to New York City to participate in the National High School Musical Theatre Awards presented by the Broadway League Foundation and created by legendary Broadway producer and theater owner James M. Nederlander. The Jimmys®, as they are affectionately known, is no mere red-carpet event. Oh, no. It’s a national competition, Broadway-style, which introduces aspiring musical theater performers to the demanding, week-in-the-life experience of a working actor. They have nine days to learn songs, choreography, medleys and cues for a two-hour, ticketed, live competition show at the Minksoff Theatre. They are ranked in secret by judges during rehearsal week solo performances, then the highest-ranking students are judged again during the full-cast medley sections of the Minskoff show. Scores are tallied, and four finalists are announced for a nail-biting final competition round, performing their solos once again to a packed Broadway house. One male and one female win a Jimmy, which includes a $10,000 check and guaranteed visibility with some of Broadway’s most respected vocal coaches, choreographers, directors and producers. Realizing that the thespian pool did not reflect the talent in smaller or underserved schools, leadership at the Patel Conservatory decided to change things up a bit, separating the Broadway Star of the Future program from the Thespian Festival, which will still happen every spring at The Straz. The exciting development this year involves our very own workshop-and-awards-show, a live, ticketed performance of the Broadway Star of the Future Awards Showcase in Ferguson Hall. Throughout the year, two to three credentialed, professional reviewers travel to local high schools in a four-county radius that applied to have their musicals and performers judged for several award categories. These reviewers nominate Outstanding Musical as well as Outstanding Actress and Actor, and these area schools and individuals collaborate in a one-day workshop to create the awards show for Broadway Star of the Future. Then it’s places! Curtain! . . . and by the end of the show on June 4, we will know which two high school musical theater performers will be heading to New York University’s Tisch School of the Arts for rehearsals and their shot at the 2017 Jimmy Award in the Minskoff Theatre. 2012 Broadway Star of the Future and Jimmy Award winner Joshua Grosso. On the left, Grosso performs at the National High School Musical Theatre Awards in New York. Naturally, there are no guarantees, just opportunities – but the Straz Center’s 2012 Broadway Star of the Future, Joshua Grosso, won The Jimmy that year and was featured in the PBS documentary about the National High School Musical Theatre Awards, Broadway or Bust. Former Broadway Star of the Future winners, from top, left to right: Katrina Kiss & Adam Glickman (2010); Christian Thompson & Emily Hart (2011); Joshua Grosso & Samantha Schneider-Behen (2012); Tim Hart & Chandler Morehead (2013); Staci Stout & Nathanael Hicks (2014); Kylie Heyman & Kamari Saxon (2015); Blake Lafita & Francesca Iacovacci (2016). Want to see the 2017 Broadway Star of the Future Awards Showcase? You can find the performance information here. Early childhood research reveals the critical developmental need for youngsters to participate in the arts, and many performing arts schools ensure there will be a future generation of outstanding American artists. What we sometimes forget to talk about is who, if anyone, will be in the theater seats when this next generation takes the stage. In other words, the best way to secure an audience for the performing arts is to make sure we’re raising one. The advent of movies and television radically changed the role of live performance in American culture. The rapid developments in screen technology that paved the way for inexpensive, easy and amateur entertainment set the performing arts on a rapid parallel evolution competing for audiences in the digital age. In the past 40 years, critics and social theorists have questioned whether or not the performing arts will be able to sustain patronage as the generations become more acculturated to screen entertainment at home and less likely to spend the money on tickets to a live show. Most patrons of the arts can pinpoint a specific childhood influence that instilled their love of the arts — whether it was a grandparent who listened to opera, a mother who loved musicals or a school trip to see a regional production of Annie or Romeo and Juliet. Because theater activates a multi-sensory imaginative experience, children make wonderful audiences who may have a formative moment with the performing arts that will last a lifetime. As trends in public education continue to edge out creative arts in favor of STEM benchmarks, the need for community support to bring young people to the performing arts grows. Most shows, for kids and adults, offer specially discounted student tickets, which is a wonderful practice although many theaters suspect students do not know they have the option for more affordable seats. Schools, home school programs and organizations benefit from group discounts. In general, at The Straz, group rates apply to any gathering of 10 or more people, so younger adult audiences who may be ineligible for student discounts may also have access to less expensive group rates if they can come with friends. The Straz Center’s field trip performance series is a special season of weekday performances for children throughout the school year. These performances usually take place at 10:30 a.m. in Ferguson Hall and are a perfect way to begin to build the foundation for a vivid imagination — and a lifelong patron of the performing arts. The best way to instill a love for enjoying live performing arts is to start audiences young, raising them to appreciate the thrill and transformative experience one can find only in the theater. Today’s patron of Wee Folk, Kid Time or field trip performances may be tomorrow’s patron of new works from the next generation of Tony®- winning playwrights. We started to write a blog about why arts education matters, but we found we could not have stated it any more plainly than Tony Award-winner Ms. Judith Light in her blog “Why Arts Education Matters,” which first appeared on the National Endowment for the Arts website. Ms. Light echoes why we work so hard to make community outreach programs, our field trip series, scholarship opportunities, and create jobs for extraordinary local teaching artists. 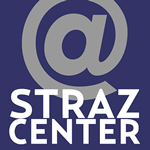 The Straz Center is always looking for members to help us bring performing arts education, outstanding programming and community outreach to all people. 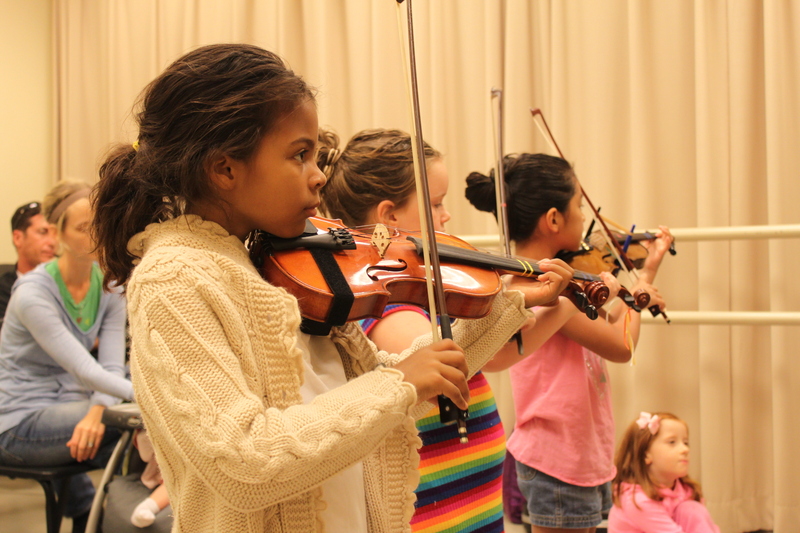 Students in a Suzuki Violin class at the Straz Center’s Patel Conservatory. You have a standing open invitation to join us in inspiring audiences and artists to dream and discover, create and celebrate. The following is excerpted from a Judith Light’s “Why Arts Education Matters” blog on the National Endowment for the Arts website. My mother taught me when I was three years old to memorize and recite “‘Twas the Night Before Christmas.” Everybody laughs, but it’s absolutely the truth. My mother was my first teacher of the arts, and I performed “‘Twas the Night Before Christmas” for my father, so he was my first audience. Even at that young age, I had a child’s intuition, which I would now say was a simple understanding of how art and culture affect us as human beings and how we can connect to each other through the arts. That understanding is something that defines my life to this day. When I was growing up, my parents supported my interest in taking acting classes and doing community theater. My father drove me to the rehearsals every day after school, whenever I was doing community theatre productions, and I went to a performing arts camp in New Hope, Pennsylvania. I grew up in Trenton, New Jersey, and my parents even allowed me to go on the train to New York City when I was a young teen to study theater. My parents’ faith in me at that young an age—and the kind of professional training I was getting from my theater teachers—gave me a sense of purpose, a sense of self-confidence, a sense of discipline. I learned what artistic achievement actually was, what hard work the business was. I didn’t have this rosy picture of what our business was. I was really learning what it would require for me to become a professional. I was also learning about life. … I learned about having faith in myself and about developing humility. Most people know that this business is all about not getting everything you want when you want it. Since success comes with such incredible gifts, many people don’t realize that, for an actor, most of our lives are actually filled with recognizing that we can’t control things. So I’ve learned, and am still learning as this is an active process, to simply be grateful for what I’ve been given. Those are very, very precious life skills that were all part of my arts education. I became an actor, but arts education isn’t just about preparing our young people for a career in the arts. I’m on the board of several organizations that work with young people in the New York City area through theater education, including MCC Theater and LeAp OnStage. I recently went to a LeAp OnStage class, and I talked to some of the kids participating. Some of them want to work in theater, and some of them don’t. The program teaches them theater skills, but they also learn about the world around them. They learn about discipline and hard work and what’s required and what they have to do to bring themselves to the work. They learn how they can be of service in the world through the arts. They learn how to elevate the people around them. They learn how to work with a team. By studying the arts, these students are exposed to worlds and lives that they might not have any other way of knowing about or any other way to connect with in their lives the way they are right now. Arts education expands their horizons.